I’ve returned to my Forces of Undeath army for Oldhammer which I ‘finished’ last year to add more options, additional corpses to raise from the grave by foul spells and just satisfy my desire to paint more old bones. 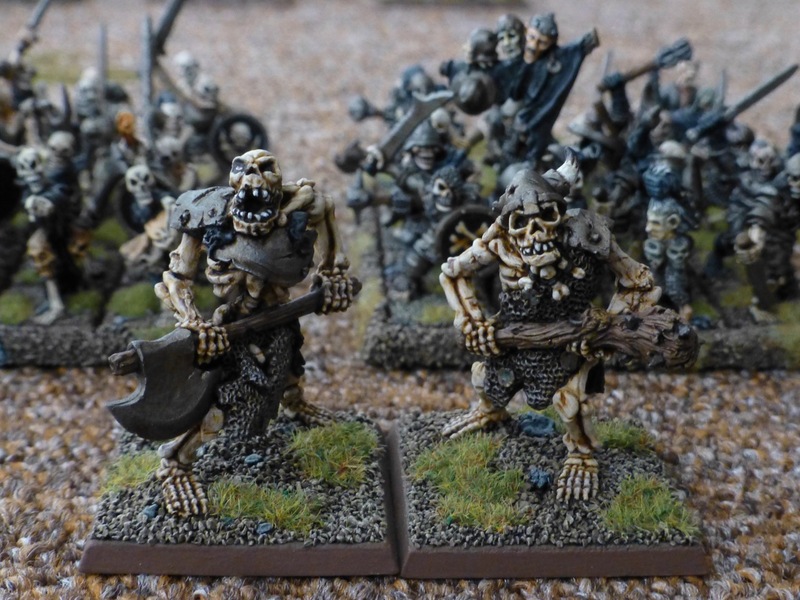 I’d seen the Skeleton Ogres from the ‘Das Schwarze Auge’ range now distributed by Ral Partha Europe appear in various forces over the years, including during my battle against Chico’s Undead, and finally decided to add them to my collection after reading Rab’s recent post for Deadcember. There are no rules for Skeleton Ogres in Warhammer 3rd Edition, but since Rab kindly did all the legwork and shared his house rules, I’ll simply add these as an extension to the Warhammer Armies list. For a review of the sculpts, WIP shots and conversion ideas, check out Azazel’s Bitz Box. There are only two figures, but for old school Warhammer I’ve never fielded monstrous creatures in larger units anyway. The sculpts fit well with the classic Citadel/Marauder aesthetics and feel like a natural addition to my army. 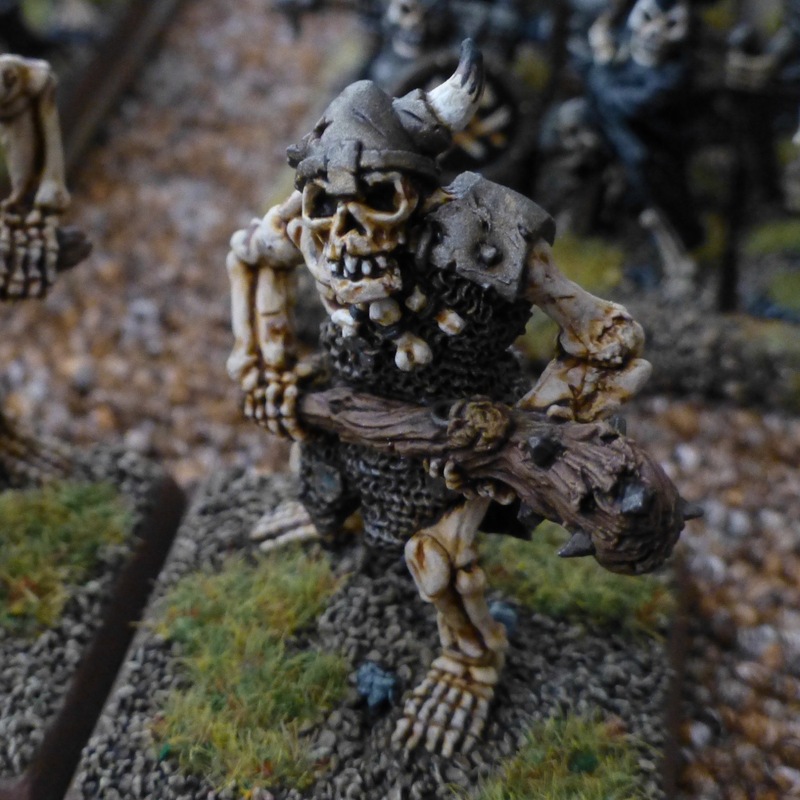 This entry was posted in Warhammer and tagged Oldhammer, Ral Partha, Undead, Warhammer. Bookmark the permalink. I can’t think of many things cooler than an undead ogre… it baffles me that these aren’t more of a ‘thing’ to be honest! Cracking job mate, I love ’em. Exactly, and with ogre mercenaries being a relatively common sight in human lands, it’s surprising that not more enterprising necromancers are trying to add them to their ranks. Maybe they are dangerously unstable? I shall find out. I’ve never seen skeletal ogres before and what a shame. These are so cool. Bulky and fearsome rather than brittle looking. Great job. Cheers, they do make for very nice monsters indeed, I’m also looking forward to introducing them to some dungeon crawling. Nice work there mate. They look fantastic and fit in with your army perfectly. I actually just finished my trio of these guys last night(!) The varnish is still drying so I hope to get them up tonight or tomorrow at the latest. Thank you! Ral Partha’s ranges were a great (re)discovery, I have a couple more monstrosities waiting to be added to the ranks. 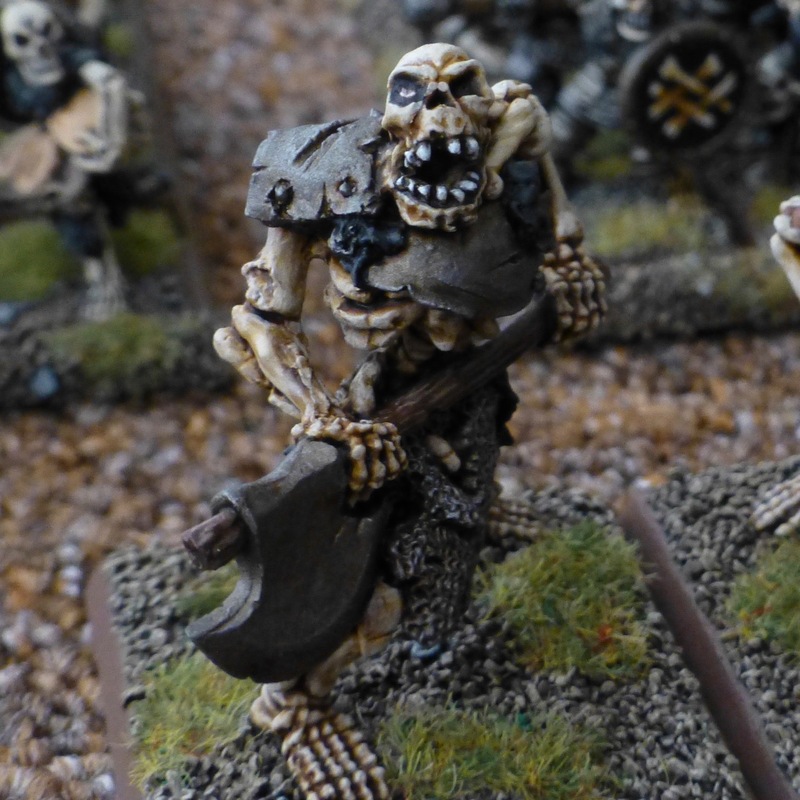 Pingback: Ral Partha Europe – Undead Ogres (6-Month Tale of Gamers Challenge) | Azazel's Bitz Box. Great work on those guys. I picked them up a few years ago, they are such great sculpts. Cheers! They have developed into real old school classics through word of mouth from rather obscure origins, a sign of their quality. Very cool figures. I’ll have to try and remember them when I get around to more undead. I found them to be a great addition to the ranks of my undead. I like the look of a few larger creatures stalking amongst the foot troops, like trolls amongst a goblin horde.